1. Write to the Federal Opposition Leader, Mr Tony Abbott, with a copy to Tony Smith MP, advocating for Federal funding to be allocated to urban public transport projects. 2. Advise the Premier of Victoria and Minister for Public Transport of Council’s resolution. As chairperson of the Eastern Transport Coalition, which comprises seven municipalities from Melbourne’s East, (City of Greater Dandenong, City of Knox, City of Manningham, City of Maroondah, City of Monash, City of Whitehorse and Yarra Ranges Council) representing approximately one million residents, I am acutely aware of the importance of federal funding for urban rail projects. The Eastern Transport Coalition advocates for sustainable and integrated transport services to reduce the level of car dependency to secure the economic, social and environmental wellbeing of Melbourne’s outer east and aims to work in partnership with Federal and State Governments to ensure the future sustainability of Eastern Melbourne. The ETC has over many years advocated for funding of public transport improvements by the Federal Government in partnership with the State Government. The ETC has welcomed Federal investment in public transport over recent years and is encouraged by the recent release of the Federal budget for 2013/14, with the government committing to support the Melbourne Metro Rail Tunnel, subject to matching funding from the State. The Federal opposition however has declared a coalition government would not invest in urban rail projects, which is of great concern. 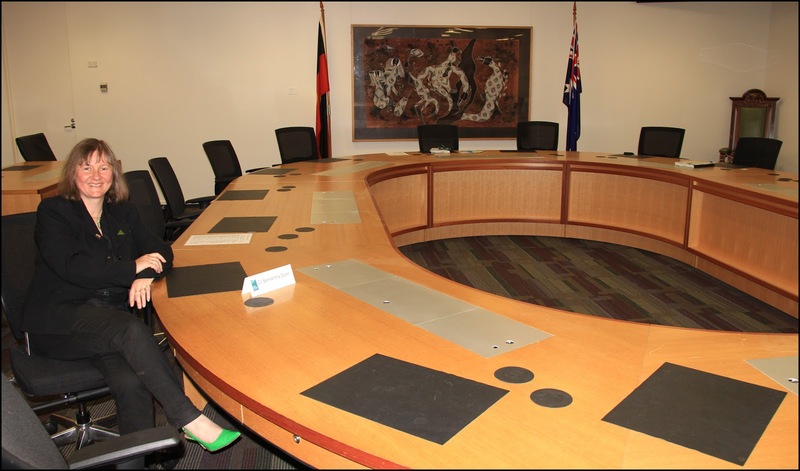 The government has established Infrastructure Australia to provide advice on strategic projects for the country. Policy, pricing and regulation and their impacts on investment and on the efficiency of the delivery, operation and use of national infrastructure networks. Infrastructure Australia believes that, to maintain the economic success and environmental sustainability of Australia's cities, the time has come for an unprecedented commitment to the creation of world-class public transport in our cities. Infrastructure Australia is therefore recommending, for the first time in Australian history, significant Australian Government investment in public transport in our cities. A number of immediate priorities are identified, alongside a list of future public transport projects which, although still under development, show real potential to transform our cities. Infrastructure Australia recommends targeted investment in innovative public transport systems which drive productivity and urban renewal in our major cities to maintain their economic success and environmental sustainability. Melbourne’s East continues to require improvements in public transport such as the extension of heavy rail to Doncaster, extension of heavy rail to Rowville, duplication of single track sections of the Belgrave and Lilydale line, upgrading of the Dandenong rail corridor, removal of at grade level crossings, bus service improvements and other public transport efficiency improvements. Many of the improvements to the rail network in Melbourne rely on the construction of the Melbourne Metro tunnel to build capacity in the network. Without support from the Federal government, the State government will not be able to deliver these projects for many decades to come. It is therefore imperative that funding support for public transport is provided at a Federal level to meet community needs, achieve economic success, and ensure ongoing environmental sustainability. The case for federal funding needs to be made in the strongest possible terms as to why it's so important for Yarra Ranges, let alone the east of Melbourne. I'm pleased to report the motion was supported unanimously by councillors (note Crs McCarthy and Avery absent). At this week’s meeting councillors had to consider submissions to what we call C126, a Planning Scheme Amendment (PSA) incorporating a set of Design and Development Overlays (DDOs) that provide guidance about the type of built form we’d like to see in our townships. The DDOs are a translation of Vision2020 by Design, ultimately for incorporation into the Yarra Ranges Planning Scheme. I was pleased to be able to move the motion to request that the Minister for Planning appoint an independent planning panel to consider all the submissions to PSA C126. Given that there are some issues that cannot be resolved in some submissions the only option available to council is to take the PSA to a panel or abandon the amendment, which certainly wasn’t on the cards. The DDO’s will give the planning scheme more rigour as they provide a finer grain of detail of what the built form elements of townships should be. The DDOs detail what council’s expectations are in relation to built form and will assist future applicants in understanding Council’s design objectives. “Buildings that include drive through sales facilities associated with a convenience restaurant are discouraged”. Officers have also recommended that Tecoma (originally in DDO13) be included in DDO14 as a response to submissions about the similarity of Tecoma with other villages of the Dandenongs. I was pleased to support the officer’s recommendations and this will form part of council’s submission to the planning panel. The planning panel will also provide submitters with the opportunity to participate in the panel process to reinforce their original submission. I’d certainly encourage all submitters to participate, it is important that the planning panel have a full understanding of the issues raised. I’m pleased to say that councillors voted unanimously to support the motion. Note: Crs McCarthy and Avery absent, Cr Child left the chamber declaring a conflict of interest due to an interest in properties in Warburton and Yarra Junction located within the exhibited DDOs. I was bitterly disappointed to not receive majority support for a local law to prevent the backyard feeding of sulphur crested cockatoos in some parts of Yarra Ranges. I moved a motion, which was in turn seconded by Cr Cliff, but all other councillors did not support the local law. It was at complete odds to voting patterns to support the local law in the past. 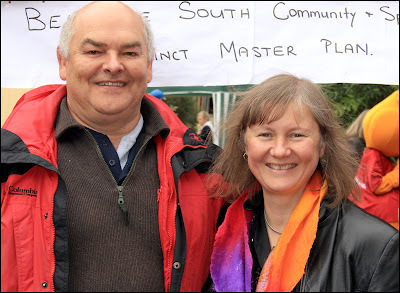 At the council meeting of 26 Feb, 2013 the majority of councillors supported the public exhibition of the local law, given the political will clearly wasn’t there, I wonder why they would seek to go through the motions, wasting valuable officer and community time in a public exhibition process and setting up false expectations for the community. Further to that councillors discussed the direction to proceed with the local law at an assembly (private meeting) of councillors on 5th February 2013 where the consensus view of all councillors (note Cr Witlox was absent) was to proceed to a formal consultation process. If the will and commitment wasn’t there why proceed? Community members I have spoken to about this are very disappointed, feeling let down, abandoned and frustrated by the council decision. I put forward a comprehensive case as to why the local law was important for those extreme cases of backyard feeding and neighbouring property damage. I talked about the stress, both emotional and financial, the impact of cockatoo feeding has. I highlighted the link between proximity of feeding and chewing behaviour (at a community meeting in July 2009 the DSE categorically stated that damage to buildings was caused due to the feeding of the birds. It was also said that the feeding would be in and around the vicinity of the damage in a radius of approximately 100 to 200 metres). I talked about satisfying the rules of evidence, that the local law wasn’t about ‘cockie police’ patrolling backyards and was a legal framework to use in the most extreme of cases. I mentioned the health impacts both to birds and humans. It seems that my arguments fell on deaf ears. In speaking against the motion Cr Cox said he would not support the local law as it did not include state government property, he said it was pointless until we had the cooperation of state government. Cr Cox is well aware that local government does not have jurisdiction over crown land and in my view if we waited for state government we’d be waiting forever. Cr Cox has supported the development of the local law up till last night’s meeting, as recently as Feb 27, 2013 he was talking up the local law to Red Symons and listeners on ABC774. Cr Witlox spoke of his concern that innocent backyard feeding of birds would be the target of vexatious complaints and the local law may cause new problems. At least Cr Witlox has been consistent with his lack of support for the local law. Cr McAllister spoke to two experts about the issue, Ian Temby, ex DSE Senior Policy Officer - Wildlife Damage Control Flora & Fauna Program, who supported a legislative framework as the next best step (Ian’s advice was invaluable in the development of education material back in 2009/10). She also spoke to Healesville Sanctuary who advised that a “community education program not a local law was the way to go”. Cr McAllister’s view was that an “education campaign with positive reinforcement” was a more effective approach even though she “hears the frustration of the community”. Both Crs Child and Callanan did not speak to the motion but voted against it. To those community members who have travelled a long road in dealing with this issue, waiting patiently for an efficient legal framework in which to tackle the issue of cockatoo damage from backyard feeders, who have seen concerted education campaigns on the issue fail in these extreme cases, I feel your frustration, the lack of understanding of what you deal with on a daily basis seems to be lost on my colleagues and I apologise for not making a successful case in your favour. It's been terrific to follow the progress of the redevelopment of the Monbulk Aquatic Centre as a member of the Project Control Group. However with that there is the frustration along the way as various issues come up which delay the construction and as a consequence also delay the completion. I'm pleased to report that the construction works are virtually completed with very little left to do, however the connection of power has been delayed meaning that the facility can't be commissioned until the power is connected. Commissioning takes time, it's about testing all the equipment, getting the water quality right and making sure that the facility is 100% operational. The timing of the power connection is out of our hands, another one of these frustrations along the way. What does this mean to the opening date? It is most likely that the pool will now officially open in mid July. can't wait, I know the community are keen to return to the pool and ladies I can report you will be much, much happier with your new change rooms. I'll keep you updated with more info as it comes available, but we are getting so very close now. Thanks to David from Mantric Architecture for the pics. 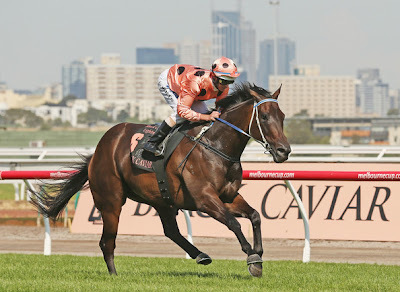 The South Belgrave Sports and Community organisations are proud to host “A Celebration of the Great Black Caviar”, Australia’s own undefeated and greatest sprinter on earth. a key to Black Caviar's success. Join us in meeting our Guests of Honour - Peter Moody & Luke Nolen, Black Caviar’s Trainer and Jockey, as they talk all things racing. This night provides a chance to get up close and personal with two of Australia’s most respected racing identities. All monies raised will go towards funding the much needed upgrade of the South Belgrave Sports and Community Precinct. 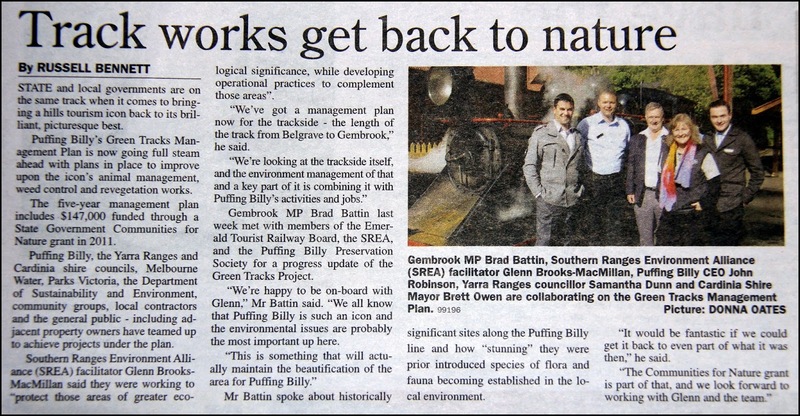 by council in October 2012, you can read more here. Don’t miss out on this opportunity of a lifetime, an intimate evening that promises to deliver entertainment, passion and a story that can be told years to come. An evening with Black Caviar, an unmissable event for a great cause. Yarra Ranges Regional Museum is heading out on the road for 12 weeks of ‘pop-up’ events from June to August 2013 and they want YOU to be involved and share the story of your main street! 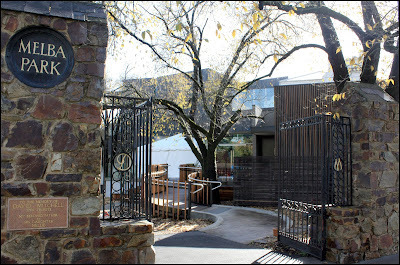 Yarra Ranges Regional Museum is located on Castella Street in Lilydale. It was great to attend the opening after a major re-development, you can read more here. 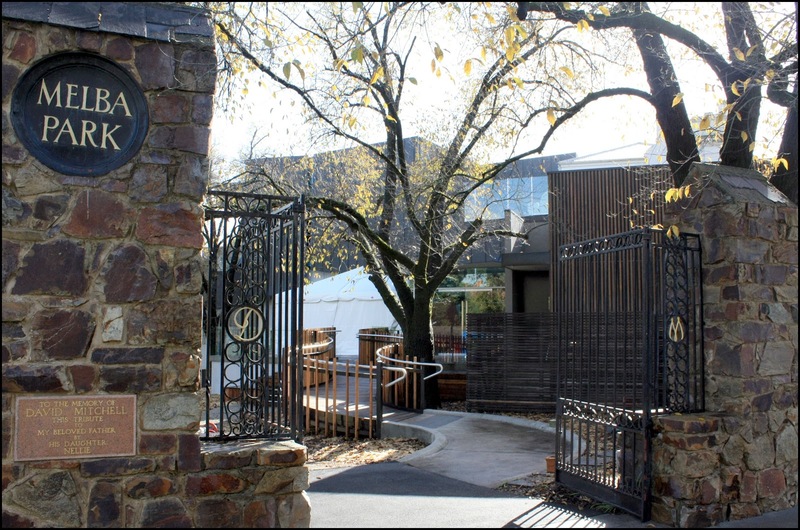 The Regional Museum is operated by Yarra Ranges Council and hosts a range of exhibitions and programs as well as managing cultural collections that reflect the history of Yarra Ranges. What is the pop-up museum? The Regional Museum is taking a ‘pop-up museum’ out on the road. 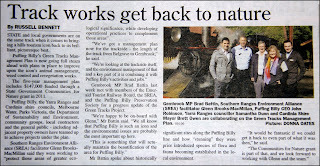 It will ‘pop-up’ in approximately 16 places over 12 weeks, covering the huge geographical reach of the Shire. The pop-up museum will be a temporary extension of the permanent museum, comprising collections displays and museum staff in a community venue. It provides a mini museum experience to townships across the region. The theme of the pop-up museum is small business and retail in local main streets. As well as showcasing museum displays, the pop-up museum is a place to share community knowledge about our main streets. The Regional Museum will then develop an exhibition focused on this theme, to be displayed at the Regional Museum between November 2013 and March 2014. Castella St in Lilydale, it's well worth a visit. As well as exhibiting a selection of Regional Museum objects and images on the day for communities to enjoy, the pop-up museum will invite communities in the Shire to share their stories, items and photographs related in some way to their local main street with museum staff and other community members. To participate, people are encouraged to come by the pop-up museum when in their community, and either simply enjoy the Regional Museum’s collection display or bring along an object, story or photograph associated with the history or present of their main street. They will be asked to write a ‘label’ and contribute it to the temporary display. If people don’t have a story to share, there will be plenty to hear, see and do. Where will the pop-up Museum be? The ‘pop-up’ museum will go to 16 locations across 12 weeks. The townships below are the intended locations of the events, but in each place we will be asking surrounding townships to attend and share their stories. How can you or your organisation be involved? The Museum is seeking to work with local groups in each of the 16 locations listed above. I was delighted that my councillor colleagues agreed to an invitation by Professor David Lindenmayer to brief us. Prof Lindenmayer is world expert on Victoria's State Faunal Emblem, the Leadbeater's Possum, having studied them for over 30 years. Most recently Prof Lindenmayer wrote to the Prime Minister highlighting his concerns around the management of the forests that are home to Leadbeater's Possum. Prof Lindenmayer reports to the PM that he has seen "increasingly poorly informed management of these forests that is akin to some of the worst I have seen anywhere in the world during his 32+ year research career. The Victorian Government is now well aware that 43% of the habitat of Leadbeater’s Possum was burned in the 2009 fires and our long-term research clearly shows that animals do not occur in burned forest (irrespective of fire severity)." Adding to this is the large old tree crisis in these forests – a problem on which Prof Lindenmayer with the Fenner School of Environment and Society - the Australian National University have published widely with major papers in the world’s leading journal Science in 2012 as well as detailed peer-reviewed scientific articles in PLOS One (in 2012) and Conservation Letters (in 2013). Yarra Ranges Councillors were briefed on the large old tree crisis by Prof Lindenmayer's research assistants earlier this year. Prof Lindenmayer also reports that "in Victoria, less than 1.15% of the Mountain Ash forest is now old growth – a situation far worse than in Tasmania." He goes on to say, "Yet, extraordinarily, in the past few months, the Victorian Government has taken deliberate and calculated retrograde steps to water down the protection of Leadbeater’s Possum (see Department of Sustainability and Environment 2013). There is no other way to interpret these recent actions than a deliberate attempt to drive an endangered species to extinction. Indeed, this would be the first time a government in a first-world (developed) nation has taken deliberate steps to drive a species to extinction. This is an issue about which we have widely researched and will soon publish a peer-reviewed scientific article." "Given the parlous state of Leadbeater’s Possum, the tragically limited size of the old growth estate in Mountain Ash forests, and the current unwillingness of the Victorian Government to take appropriate measures to address these problems, my research team and I have taken the extraordinary step of publishing a new set of management prescriptions. These are specifically designed to minimize the risk of extinction of Leadbeater’s Possum. Unlike recent documents produced by the Victorian Government (e.g. 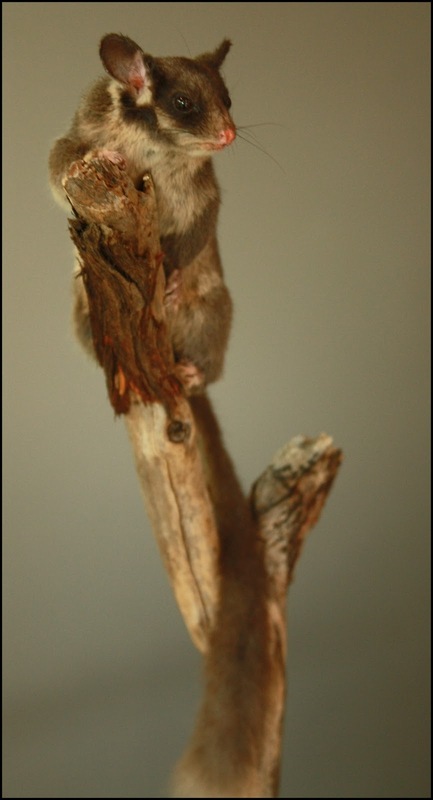 the Survey Standards for Leadbeater’s Possum, approved in January 2013 – see Department of Sustainability and Environment 2013), the set of new prescriptions we have produced is based on the best and most up-to date peer-reviewed science. This is because my research team and I recognise the need for evidence-based management and evidence-based policy." "It is critical that the new prescriptions are adopted as soon as possible. Indeed, the persistence of Leadbeater’s Possum has long been regarded as a true test case of ecologically sustainable forest management (dating back to the early 1990s; see Lindenmayer et al. 1990; Lindenmayer 1996). If the species continues to decline and goes extinct then there is no way that forestry operations in Victorian ash forests could be construed as being ecologically sustainable (read more at the Conversation here). This would, in turn, have massive negative implications for the certification of the native forest industry in Victoria – thereby locking in low prices for paper and timber products from publically-owned forests. I suggest it is time for significant reform of the Victorian forest industry..."
I thank Professor Lindenmayer for his ongoing efforts to save the Leadbeater's Possum, the development of "New Restoration Forest Management Prescriptions to Conserve Leadbeater’s Possum and Rebuild the Cover of Ecologically Mature Forest in the Central Highlands of Victoria" highlights that the available scientific information clearly indicates that new strategies based on the best available and most up-to-date science are urgently required. This prescription provides guidelines for a new approach to restoration forest management to better conserve Leadbeater’s Possum and rebuild the (ecologically) mature forest estate in the Central Highlands of Victoria. I look forward to Prof Lindenmayer's briefing, we are very privileged in Yarra Ranges to be home to the endangered Leadbeater's Possum, I'd like to think we'd do all we can to fight their extinction. Quotes reproduced with the permission of Prof David Lindenmayer. Please support the court case to save the home of the Leadbeater's Possum, donate what you can to My Environment. 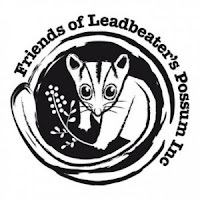 Friends of Leadbeater's Possum was established in 2004 to give a voice to these elusive forest animals. They hope to be able to help Leadbeater’s survive in the wild by encouraging conservation efforts, research programs and effective conservation strategies and policies. It was National Volunteers Week last week. To celebrate and thank our volunteers I attended a high tea for our volunteers at Sherbrooke Cottage in Tecoma. It was a very fitting venue for the occasion. Sherbrooke Cottage is the home of the local Planned Activity Group (PAG) Service conducting day services for frail aged, people with a disability and people with dementia living within Yarra Ranges. The aim of the centre is to maintain and enhance the independence and quality of life of the persons attending and to provide respite care and support for carers. 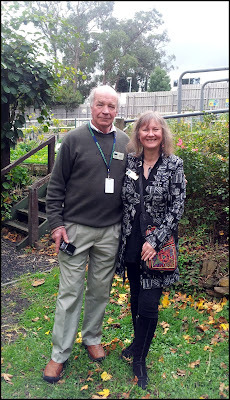 Volunteers are the heart and soul of our community, it's not just about the work that they do such as delivering meals on wheels, it's the social connections that are so important and valued. I'm very proud that the Lyster Ward has the highest level of volunteerism in the shire. As part of the occasion the Wednesday Group at Sherbrooke Cottage wrote a poem to celebrate our volunteers. Lucy, member of the Wednesday Group, was passionate in her recital of this acrostic poem to the assembled group of shire staff, volunteers and planned activity group participants. U Unfortunately often Underappreciated even though they are Understanding and honourable. T They are Treasured and Thoughtful and we are very thankful. S Sincerely we thank you for the Support, the Service and Smiles and for being So Special. And with that Lucy ended with a hooray and 3 cheers for the volunteers. A wonderful addition to the official ceremonies. 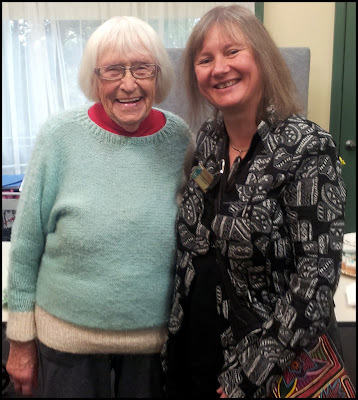 Last year 8,000 hours of service was delivered by over 220 volunteers interacting with the frail aged clients in Planned Activity and the Food Services Program. The Food Services program drivers and jockeys have delivered over 40,000 meals and travelled over 100,000 kilometres, a huge achievement and I extend my heartfelt thanks to them for their dedication and commitment to making Yarra Ranges a better place to be. 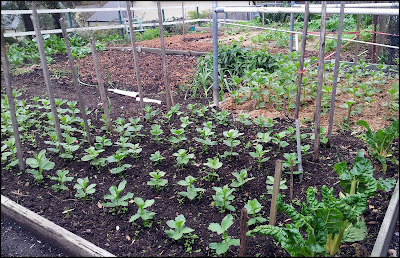 I took the opportunity to have a look at the Tecoma Community Garden next door while I was there, it was thriving. 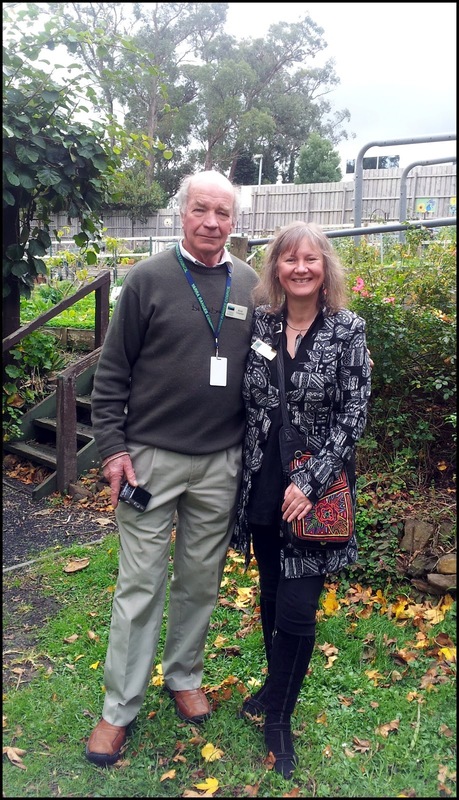 A hidden treasure, the garden is much enjoyed by clients at Sherbrooke Cottage as well as the broader community. 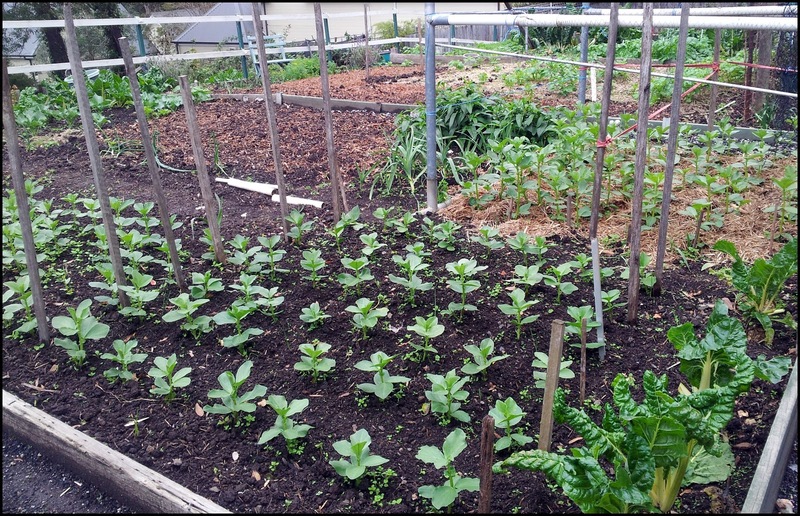 Kevin Holmes a Tecoma Community Garden stalwart, is passionate about sustainability, the garden is his pride and joy along with much of the garden infrastructure which is made from reclaimed materials, the hard rubbish collection providing a great source of material. It's terrific to see sustainability in action. I had the great pleasure of presenting Kevin with a certificate to recognise 5 years of volunteering efforts late last year. 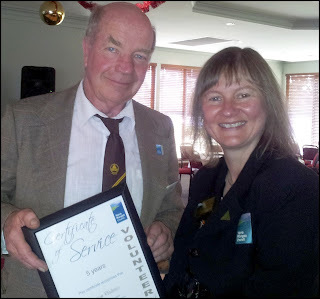 Kevin is part of an enormous network of volunteers who do so much to improve the quality of life for others. I thank all those volunteers in Yarra Ranges, I am always inspired by your dedication and commitment.